2. All prizes must be collected within 1 month from the date of notification. After that time, unclaimed prizes will be dealt with according to legislative requirements. One FM will not notify winners of time remaining. It is the sole responsibility of winners to collect their prize. 3. Prizes must be claimed in person unless the winner is otherwise advised. The winner will be required to produce an ID, which includes a photograph required (examples include identification card/drivers license/passport where photo is included). Where One FM elects to post or courier a prize to a winner no responsibility will be accepted by One FM for the safe and effective postal delivery of the prize. One FM expressly disclaims all liabilities arising from any lost or unsuccessful transmission of prizes. 4. In special situations and subject to the absolute discretion of One FM a winner may nominate a designated representative to collect a prize. Written authorization and ID for both the winner and their representative will be required. 5. In the event that a winner chooses not to accept a prize, they forfeit any and all claims to that prize, which will be dealt with according to the absolute discretion of One FM subject to legislative requirements. 7. A copy of these general contest rules must be signed and endorsed by any winner upon request by One FM. 9. All prizes are used/taken entirely at the risk of the winner in all things, and One FM excludes all warranties in connection with any prize to the extent permitted by law. 10. One FM, its agencies, affiliates, sponsors and representatives are not responsible for defective prizes or misuse of any prize, or for any claims, liability, loss or damage arising out of or in connection with any contest promoted by One FM. (a) One FM and its employees and agents will be fully released from and indemnified by the winner in respect of any claim for accident, injury, property damage or loss of life in connection with the winner’s participation in the prize(s). (c) If the winner is under the age of 18, their parent/guardian may, at the absolute discretion of One FM, be required to sign an indemnity in the form required by One FM and consent to winner’s participation in the prize as a precondition to their child’s entitlement to the prize(s). 12. If a specified prize becomes unavailable due to unforeseen circumstances, One FM may substitute a similar prize or one of equivalent value. 14. The winner may also be required by One FM to participate in a photo, video and/or film session and acknowledges that One FM has the right to use such publicity photos, videos and/or films in any medium and in any reasonable manner it sees fit, unless that person advises One FM at the time of entering the competition that he/she wishes to retain his/her anonymity. 15. Contest entries and material submitted in connection with any contest (whether in written, audio or visual form, or a combination of those) or any photographs, video and/or film footage or audio recording taken of the contestants become the property of One FM. One FM may use the material in any medium and in any reasonable manner it sees fit. Copyright in any such material becomes and remains the sole property of One FM. 16. One FM may publicize, broadcast or otherwise disclose a winner’s or competitor’s name, character, likeness, statements or any recording of their voice in advertising or promotional activities concerning winning of the contest, or One FM contests generally. One FM may promote or advertise that a winner won a competition. All winners hereby agree to the use of his/her name for the purpose of advertising, trade or promotion by One FM without additional compensation. • may award the prize to another person according to its absolute discretion. • In all such events all decisions of One FM will be final and no correspondence or discussions will be entertained. 19. One FM reserves the right at its sole discretion to disqualify any individual that it determines to be tampering with the entry process or the operation of the Contest or site, to be acting in breach or potential breach of these Rules and Regulations. No correspondence shall be entertained. One FM further reserves the right to cancel, modify, suspend or delay the contest in the event of unforeseen circumstances beyond its reasonable control. a) they are an employee or a member of the immediate family of an employee of Media Prima Radio Network Sdn Bhd/a sponsor /advertising agency or affiliate associated with the contest. b) they have won a prize/prizes valued either individually or collectively at RM100 from One FM or in any One FM contest in the 30 days prior to entering the competition. d) They are discovered to have used or attempted to use any more than one name in order to qualify to win prizes from One FM. e) A member of that person’s family or household has won a prize in any competition in the 30 days prior to the day they enter the competition. 21. 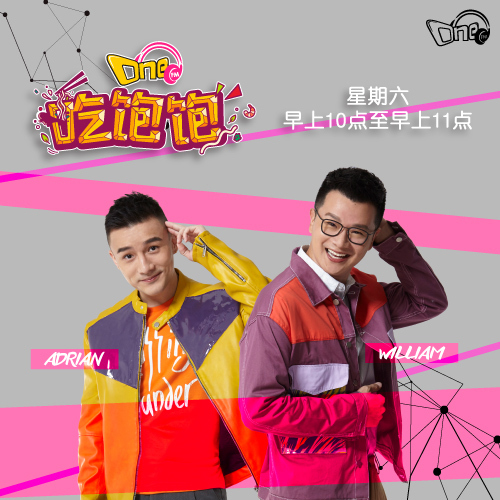 All contestants acknowledge that One FM can still rely on Rule 18 and/or Rule 19 even if One FM only learns of a person’s ineligibility after One FM has appeared to award the prize to the ineligible person. Return of the prize or payment of its value to One FM can be required by One FM if this occurs. 22. One FM may incorporate information from entrants in any contest(s) in any database for use for the purpose of its business. 23. Where One FM has special contest conditions or rules in relation to a particular contest, then they will prevail to the extent of any inconsistency between those special conditions and these general conditions. 24. Persons under the age of 18 years are ineligible to enter any competition where the prize consists of a vehicle or alcohol or a voucher for alcohol or where the special rules otherwise provide. 25. A failure by the station to enforce any of these rules in any instance(s) will not give rise to any claim by any other person. 26. Disclaimers: By entering the contest, each contestant agrees that One FM, One FM Studio Sdn Bhd, its respective employees, officers, directors, agents, affiliates, parent, subsidiaries and representatives (“Contest Sponsors”) shall not be liable or responsible for damages, losses, injuries, rights, claims or actions of any kind in connection with the contest, or resulting from acceptance, possession, use/misuse of prizes, or participation in the contest, including without limitation, personal injury, death, property damage and claims based on publicity rights, defamation or invasion of privacy. Each contestant further agrees that the contest sponsors will not be responsible or liable for any entries that are late (including delayed data transmissions), tampered with, garbled, incomplete, misdirected, lost, mutilated, delayed, corrupted, duplicated or otherwise not in compliance with these Rules and Regulations. 27. All entries via the Internet are sent entirely at the risk of the user. Contest Sponsors are not and will not be responsible or liable for any injury or damage to the contestant’s or to any other person's computer relating to or resulting from entering or downloading materials in connection with this contest. Contest Sponsors are not responsible for any error, omission, interruption, deletion, defect, delay in operation or transmission due to technical, hardware, software or telephone malfunctions of any kind, lost or unavailable network connections, communications line failure, server failure, or failed, incorrect, incomplete, inaccurate, garbled, or delayed electronic communications caused by the users or by any of the equipment or programming associated with or utilized in this contest or traffic congestion on the Internet or at any website, or by any human error which may occur in the processing of the entries in this contest, or any combination thereof. 28. The laws of Malaysia shall govern this Contest. This Contest is void where prohibited or restricted by any local, national, state, or any governmental laws. This Contest is also subject to these Rules and Regulations. 29. One FM’s contest via on air/ online/on ground or any kind of contest organized by One FM are strictly open for MALAYSIAN citizens only. 30. Please allow 90 working days from winning date for prizes to be processed. Your data privacy is important and we are compliant to the PDPA 2010. To view Media Prima Berhad’s Personal Data Protection Policy Notice, please visit www.onefm.com.my. Special restrictions or qualifications may apply to particular contests, in which case an addendum to these rules will be made. These rules may be changed at any time by One FM. One FM adalah sebuah stesen radio di bawah atau kepunyaan Media Prima Berhad. Oleh yang demikian, setiap kenyataan di bawah yang menyatakan berkenaan One FM turut merujuk kepada Media Prima Berhad. Terpakai untuk semua penyertaan peraduan sama ada melalui radio, internet, atau apa-apa juga bentuk peraduan di dalam apa-apa media yang akan ditentukan oleh One FM. 1. Melainkan dinyatakan sebaliknya di dalam peraturan-peraturan khas, tiada individu dibenarkan untuk menyertai mana-mana peraduan lebih daripada sekali. 2. Hadiah-hadiah hendaklah dituntut dalam tempoh 1 bulan dari tarikh pemberitahuan. Selepas tempoh tersebut, hadiah-hadiah yang tidak dituntut akan dibatalkan pemberian-pemberian mereka. Adalah difahami bahawa One FM memiliki hak mutlak ke atas hadiah-hadiah yang tidak dituntut. One FM tidak akan membuat sebarang pemberitahuan kepada para pemenang berkenaan baki tempoh yang tinggal. Pemenang-pemenang mempunyai tanggungjawab mutlak menuntut hadiah-hadiah yang dimenangi di dalam tempoh yang dinyatakan di atas. 3. Kecuali dinyatakan sebaliknya kepada pemenang-pemenang, hadiah-hadiah perlu dituntut secara sendiri oleh pemenang-pemenang. Semasa menuntut hadiah, pemenang dikehendaki untuk menunjukkan pengenalan diri yang mana pengenalan diri tersebut adalah dokumen bergambar pemenang tersebut, sebagai contoh, antara lainnya adalah termasuk kad pengenalan, lesen memandu dan pasport. 4. Jika One FM memilih untuk menghantar satu-satu hadiah melalui pos atau kourier, One FM tidak akan bertanggungjawab terhadap keselamatan dan jaminan penyerahan hadiah melalui pos. One FM secara nyata melepaskan segala liabiliti dan tanggungjawab yang timbul hasil daripada kehilangan, Kerosakan atau kegagalan penyerahan hadiah. One FM, seseorang pemenang boleh melantik wakil yang ditentukan untuk menuntut hadiah. Kebenaran bertulis dan pengenalan diri untuk kedua-dua pemenang dan wakil hendaklah dikemukakan semasa tuntutan dibuat. 6. Jika seseorang pemenang memilih untuk menolak penerimaaan sesuatu hadiah, hak pemenang tersebut akan dibatalkan ke atas hadiah tersebut, yang mana ianya akan diuruskan menurut budibicara penuh One FM. 7. Pemenang-pemenang di bawah umur 18 tahun hendaklah diiringi oleh ibu/bapa/penjaga sah semasa tuntutan hadiah. Kedua-dua pemenang dan ibu/bapa/penjaga sah perlu menandatangani peraturan-peraturan am peraduan ini serta menunjukkan pengenalan diri yang secukupnya. 8. Salinan-salinan peraturan-peraturan am dan hendaklah dikemukakan peraduan hendaklah ditandatangani atau disahkan oleh mana-mana pemenang apabila diminta oleh One FM. 9. Hadiah-hadiah tidak boleh dipindahmilik, mesti digunakan dalam tempoh masa yang ditetapkan (yang mana berkenaan) dan tidak boleh ditukarkan dengan wang tunai. 10. Risiko penggunaan/pengambilan hadiah-hadiah adalah di bawah tanggungan pemenang-pemenang secara keseluruhannya, dan One FM melepaskan kesemua jaminan dan tanggungjawab ke atas sebarang hadiah sejauh mana yang dibenarkan oleh undang-undang. 11. One FM , ejen-ejennya, penaja-penajanya, wakil-wakilnya dan pihak-pihak yang berkaitan dengannya adalah tidak bertanggungjawab ke atas hadiah-hadiah yang rosak atau penyalahgunaan mana-mana hadiah, atau apa-apa tuntutan, liabiliti, kerugian atau kerosakan yang timbul, hasil daripada atau berkaitan dengan apa-apa peraduan yang dipromosikan atau dianjurkan oleh One FM. a. One FM dan pekerja-pekerjanya serta ejen-ejennya adalah dilepaskan dan dilindungi oleh pemenang berkaitan apa-apa tuntutan kemalangan, kecederaan, kerosakan hartabenda atau kehilangan nyawa berkaitan dengan penyertaan seseorang pemenang untuk sesuatu hadiah. b. Di atas budi bicara mutlak One FM, pemenang boleh diminta untuk menandatangani satu persetujuan indemniti atau perlindungan dalam bentuk yang dikehendaki oleh One FM sebagai salah satu prasyarat pemilikan hadiah. c. Jika pemenang adalah di bawah umur 18 tahun, ibu/bapa/penjaga sah boleh di atas budi bicara mutlak One FM menandatangani satu persetujuan indemniti atau perlindungan dalam bentuk yang dikehendaki oleh One FM dan persetujuan kebenaran untuk penyertaan pemenang untuk sebagai salah satu prasyarat pemilikan hadiah pemenang tersebut. 13. Jika sesuatu hadiah yang dinyatakan tidak dapat disediakan hasil daripada keadaan-keadaan yang tidak dapat dijangkakan atau dielakkan, One FM boleh menggantikan hadiah tersebut dengan hadiah yang hampir serupa atau dengan hadiah yang lain bernilai sama mengikut budi bicara mutlak One FM. 14. Melainkan dinyatakan sebaliknya, untuk sebarang hadiah perjalanan yang membabitkan penerbangan, kelas perjalanan adalah kelas ekonomi. 15. Pemenang juga boleh dikehendaki oleh One FM untuk mengambil bahagian di dalam sesi foto, video dan/atau filem dan hendaklah mengiktiraf bahawa One FM mempunyai hak untuk menggunapakai gambar-gambar publisiti, video-video dan/atau filem-filem dalam apa jua medium dan dalam apa jua cara yang One FM fikirkan perlu dan sesuai, melainkan seseorang pemenang itu pada masa penyertaan peraduan meminta One FM untuk tidak mendedahkan identitinya. Sekiranya peserta meminta supaya One FM tidak mendedahkan identitinya, One FM mempunyai budi bicara mutlak sama ada untuk menerima atau tidak. 16. Penyertaan-penyertaan peraduan dan sebarang material yang dihantarserah berkaitan dengan mana-mana peraduan (sama ada bertulis, berbentuk audio atau visual, atau kombinasi kedua-duanya) atau apa-apa gambar, video dan/atau rakaman filem atau rakaman audio yang diambil ke atas peserta-peserta adalah hakmilik One FM. One FM berhak untuk menggunakan material tersebut dalam apa jua medium dan dalam apa jua cara yang munasabah yang difikirkan perlu. Hakcipta material-material tersebut di dalam ini juga adalah hakmilik One FM semata-mata. 17. One FM berhak untuk menerbitkan, menyiarkan atau selainnya mendedahkan nama sesorang pemenang atau nama seseorang pesaing, perwatakan, perilaku, kenyataan atau apa-apa rakaman suara yang terbabit dalam pengiklanan atau aktiviti-aktiviti promosi yang melibatkan peraduan yang dimenangi, atau peraduan-peraduan One FM secara amnya. One FM berhak untuk mempromosikan atau mengiklankan seseorang pemenang dalam sesuatu peraduan. Semua pemenang adalah dengan ini bersetuju bahawa penggunaan nama mereka untuk tujuan pengiklanan, perniagaan atau promosi oleh One FM tanpa sebarang pampasan tambahan. 18. Para pemenang adalah bertanggungjawab ke atas apa-apa dan segala cukai yang perlu dibayar ke atas hadiah-hadiah yang diberikan kepada atau diterima oleh mereka. d. One FM berhak menukar pemanggil sekiranya tiada pemenang lagi. c. Boleh memberi hadiah kepada individu lain yang tertentu mengikut budibicara mutlaknya. d. Di mana di dalam keadaan-keadaan tersebut keputusan-keputusan yang dibuat oleh One FM adalah muktamad dan sebarang surat-menyurat atau perbincangan adalah tidak akan dilayan. 21. One FM memiliki hak dan mempunyai budi bicara penuhnya untuk membatalkan penyertaan mana-mana individu yang ditakrifkan sebagai menggangu untuk tujuan menipu proses kemasukan atau penyertaan; atau operasi Peraduan atau kawasan, berkelakuan dalam keadaan melanggar atau berpotensi untuk melanggar mana-mana peraturan di dalam Peraturan-peraturan dan Kaedah-kaedah di dalam ini. Tiada sebarang surat-menyurat akan dilayan dalam keadaan ini One FM selanjutnya mempunyai hak untuk membatalkan, mengubahsuai, menggantung atau menangguhkan peraduan dalam keadaan-keadaan yang tidak dapat dielakkan yang mana adalah di luar bidangkuasa yang munasabah. a. Mereka adalah merupakan pekerja-pekerja atau ahli-ahli keluarga terdekat kepada pekerja-pekerja One FM; Rangkaian Radio Media Prima; Media Prima Berhad; sesuatu penaja/agensi pengiklanan atau agensi yang berkaitan dengan peraduan yang berkaitan. c. * Kemenangan akan diambil berdasarkan peraduan yang lebih awal diumumkan kemenangan. d. Mereka telah menggunakan atau cuba untuk menggunakan lebih daripada satu nama/identiti yang bukan milik mereka bagi tujuan melayakkan diri untuk memenangi hadiah daripada One FM. e. Seseorang ahli di dalam keluarga atau rumah individu terbabit telah memenangi sesuatu hadiah di dalam apa-apa peraduan dalam tempoh hari seperti 22 (b) sebelum hari penyertaan peraduan tersebut - penyertaan akan dibatalkan. f. Seseorang ahli di dalam keluarga atau rumah individu terbabit telah memenangi sesuatu hadiah di dalam apa-apa peraduan dalam tempoh hari seperti 22 (b) sebelum hari penyertaan peraduan tersebut - penyertaan akan dibatalkan. g. Mereka telah memenangi hadiah bernilai RM5,001.00 atau lebih daripada One FM atau dalam mana-mana peraduan One FM dalam tempoh 12 bulan sebelum penyertaan peraduan tersebut melainkan dinyatakan sebaliknya. h. Didapati bahawa mereka telah menggunakan atau cuba untuk menggunakan lebih daripada satu nama untuk melayakkan diri untuk memenangi hadiah daripada One FM. i. Seseorang ahli di dalam keluarga atau rumah individu terbabit telah memenangi sesuatu hadiah di dalam apa-apa peraduan dalam tempoh hari seperti 22 (a-f) sebelum hari penyertaan peraduan tersebut - penyertaan akan dibatalkan. 23. Pembatalan penyertaan akan dilakukan secara automatik jika melanggar terma dan syarat kami tanpa sebarang pemberitahuan. 24. Peserta-peserta mengiktiraf bahawa One FM masih boleh menggunapakai Peraturan 18 dan/atau Peraturan 19 walaupun One FM hanya menyedari ketidaklayakan seseorang individu selepas One FM telah atau kelihatan telah menyerahkan hadiah kepada individu yang tidak layak tersebut. Pemulangan hadiah atau pembayaran wang tunai yang sama nilainya dengan hadiah tersebut kepada One FM boleh dituntut oleh One FM dalam situasi sebegini. 25. One FM berhak untuk memasukkan informasi berkenaan penyertaan mana-mana peserta ke dalam apa-apa sistem data utama untuk kegunaan dalam apa-apa perkara. 26. 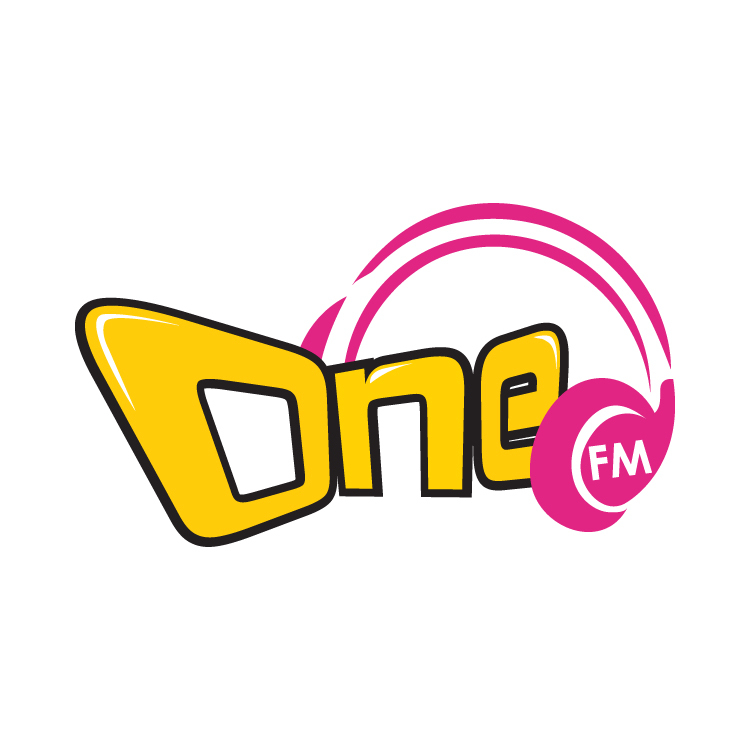 Di mana One FM mempunyai syarat-syarat serta peraturan-peraturan khas berkaitan peraduan tertentu, syarat-syarat serta peraturan-peraturan khas tersebut adalah terpakai dalam keadaan di mana syarat-syarat khas tersebut adalah tidak konsisten dengan perkara-perkara am di dalam ini. 27. Individu di bawah umur 18 tahun adalah tidak layak untuk menyertai apa-apa peraduan sekiranya peraduan tersebut melibatkan pemberian hadiah yang merangkumi sesuatu kenderaan atau voucher kenderaan melainkan syarat-syarat khas menyatakan sebaliknya. 28. Kegagalan One FM untuk menguatkuasa mana-mana peraturan-peraturan dalam apa jua keadaan tidak akan memberi sebarang tuntutan hak kepada mana-mana individu. 29. Penafian-Penafian: Dengan penyertaan peraduan, setiap peserta bersetuju bahawa One FM, Media Prima Berhad , pekerja-pekerjanya, pegawai-pegawainya, pengarah-pengarah, ejen-ejen, badan-badan atau individu-individu yang berkaitan dengannya, syarikat induk, syarikat-syarikat naungannya dan wakil-wakilnya ("Penaja Peraduan") adalah tidak bertanggungjawab atau bertanggungrugi untuk sebarang kerosakan, kerugian, kecederaan, hak, tuntutan atau tindakan dalam apa jua bentuk yang berkaitan dengan peraduan tersebut, atau hasil daripada penerimaan, penyimpanan, penggunaan/penyalahgunaan hadiah-hadiah, atau penyertaan dalam peraduan tersebut, termasuk tetapi tidak terhad kepada kecederaan peribadi, kematian, kerosakan harta benda dan tuntutan berdasarkan hak-hak publisiti, fitnah atau pencabulan privasi. Setiap perserta selanjutnya bersetuju bahawa penaja-penaja peraduan tidak akan bertanggungjawab atau bertanggungrugi terhadap mana-mana kelewatan penyertaan (termasuk transmisi data yang lewat), kacau ganggu, kekeliruan, ketidaksiapan, salah arah, kehilangan, kecacatan, kelewatan, kerosakan, penduaan atau selainnya yang tidak selaras dengan Peraturan-Peraturan dan Syarat-Syarat di dalam ini. 30. One FM penyertaan melalui Internet adalah dipertanggungjawabkan di bawah risiko mutlak peserta. Penaja-penaja peraduan adalah tidak bertanggungjawab atau bertanggungrugi dan tidak akan bertanggungjawab atau bertanggungrugi ke atas sebarang kecederaan atau kerosakan terhadap peserta-peserta atau mana-mana komputer individu berkaitan dengan atau hasil daripada penyertaan atau muat turun material-material yang berkaitan dengan peraduan tersebut. Penaja-penaja peraduan juga adalah tidak bertanggungjawab ke atas apa-apa kesilapan, ketidakmasukan, gangguan, pemadaman, kecacatan, kelewatan dalam operasi atau transmisi akibat teknikal, perkakasan, perisian atau sebarang kegagalan telefon daripada sebarang segi, kehilangan atau ketiadaaan hubungan rangkaian, kegagalan hubungan komunikasi, kegagalan server, atau kegagalan, ketidaknyataan, ketidaksiapan, ketidaktepatan, kekeliruan, atau kelewatan komunikasi elektronik yang disebabkan oleh peserta-peserta atau daripada mana-mana peralatan atau program berkaitan dengan atau yang digunakan di dalam peraduan tersebut atau kesesakan trafik di dalam Internet atau di dalam mana-mana laman web, atau terjadi akibat kesilapan manusia yang mungkin terhasil daripada pemprosesan penyertaan-penyertaan peraduan tersebut, atau mana-mana kombinasi daripadanya. 31. Peraduan ini adalah tertakluk kepada undang-undang Malaysia. Peraduan ini adalah terbatal jika ianya adalah dilarang atau dihalang oleh mana-mana undang-undang tempatan, negeri, negara atau mana-mana undang-undang kerajaan. Peraduan ini juga adalah tertakluk kepada Peraturan-Peraturan dan Syarat-Syarat di dalam ini. Kelayakan-kelayakan atau halangan-halangan khas boleh diaplikasikan kepada peraduan - peraduan tertentu, yang mana dalam kes tersebut suatu penambahan terhadap peraturan - peraturan ini akan dinyatakan. Peraturan-peraturan ini boleh ditukar pada bila-bila masa oleh One FM tanpa memerlukan sebarang notis awal.